Chem-Dry of Fulton-Forsyth is committed to providing you with superior solutions and services that you can trust to keep your home clean, safe and healthy. Using a green-certified solution and our Hot Carbonating Extraction cleaning method, we deliver a deeper, longer lasting clean that leaves you with peace of mind and a healthier environment for your family. Indoor air quality is also a significant home health concern because the average home can harbor as much as 200,000 bacteria for every square inch of carpet. As the bacteria builds up, the bacteria lurking in your carpets gets stirred up and circulates in the air your family is breathing unless you properly clean them. 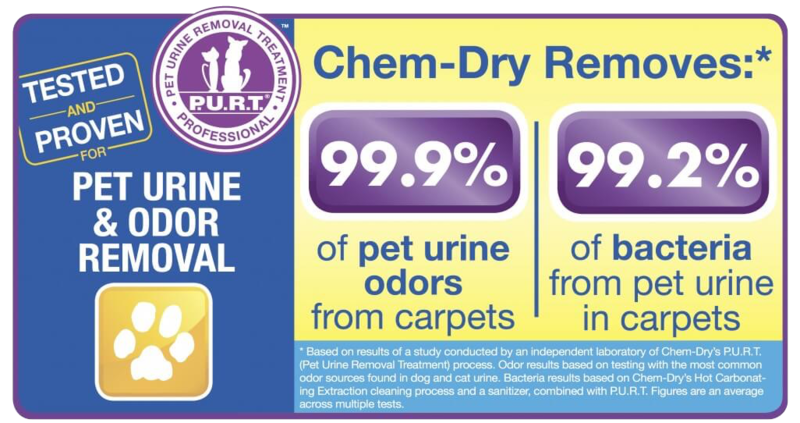 A carpet cleaning by Chem-Dry of Fulton-Forsyth is not only effective at removing the bacteria from the carpets, upholstery and other surfaces we clean, but it also improves the overall air quality in your home. 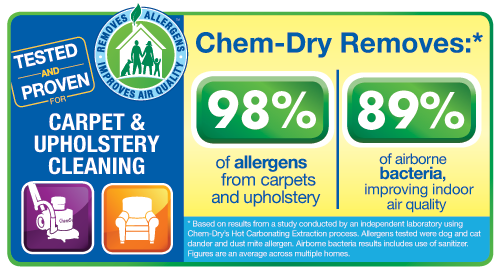 At Chem-Dry of Fulton-Forsyth, we want you to breathe easier about the healthfulness of your home and your family. Whether you suffer from allergies or asthma or you just want to provide the healthiest home for your family, our carpet cleaning method can help you remove the allergens and bacteria hiding in your home and improve your indoor air quality. Because we care for your health, call us today to ensure a safe and healthy home environment for you & your family.